Astute gardeners have several tricks up their sleeves on the best methods of ensuring optimal plant production, and among them is grafting. Typically, grafting entails fusing the tissues of two different plant varieties to get one that has the best of both worlds. For example, grafted flowers are more beautiful than your typical varieties and are more resilient since they have the best of the genes from the individual fused plants. To successfully undertake this process, you need specialized tools. The best grafting tool will help you make clean grafting cuts that enhance chances of success. In the following review, we look at some of the tools for the gardening exercise. Grafting needs precise and clean cuts, and this tool demonstrates this better. 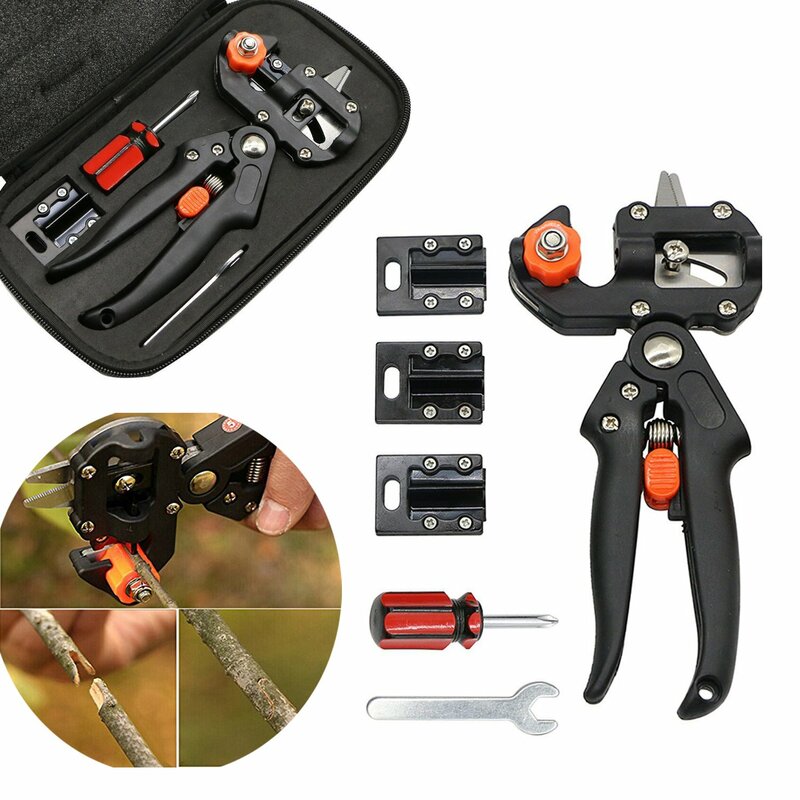 Zenport ZJ67 Omega-Cut Grafting Tool/Pruner is a two-in-one tool that you can use effectively to perform both grafting and pruning tasks – kills two birds with one stone. The grafting makes the removal of excess leaves effortless – this is necessary to ensure rapid connection of tissues. 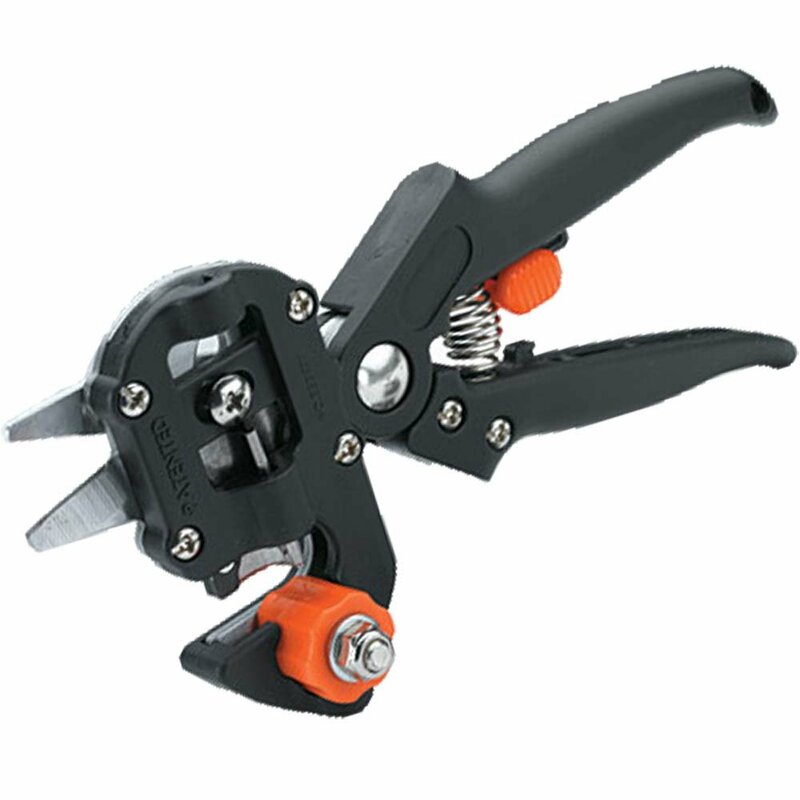 This tool also has two functions – to prune and graft. And what’s more, the device comes with three replaceable grafting blades that are adequately sharp and which make precise cuts. The three mm thick pruning blade is effective at removing any excess branches and leaves for faster tissue connection – sometimes a little push is necessary. Its handles are ABS plastic, and the blade and other parts are carbon steel for sufficient durability and sharpness – you don’t want to buy something that can’t handle the job it’s supposed to, adequately. If you want a job done correctly and professionally, you need to invest in the right tools – and of course, have the right skills. This grafting tool is made of premium quality materials to give you that perfect cut for success – it’s critical to get it right the first time. The shear blades are high carbon steel while the handles are ABS plastic. The tools save you some precious time – all you need is use the grafting tool to cut two twigs, join, put some tape on them and your task is pretty much done. There’s no timewasting, sharpening and trying to fit them together. The good thing about kits is that they come with everything you need for a particular job. And this is pretty much what this kit is all about. Well, for starters, this tool is straightforward to use and saves you a lot of time that would have been lost using a knife. 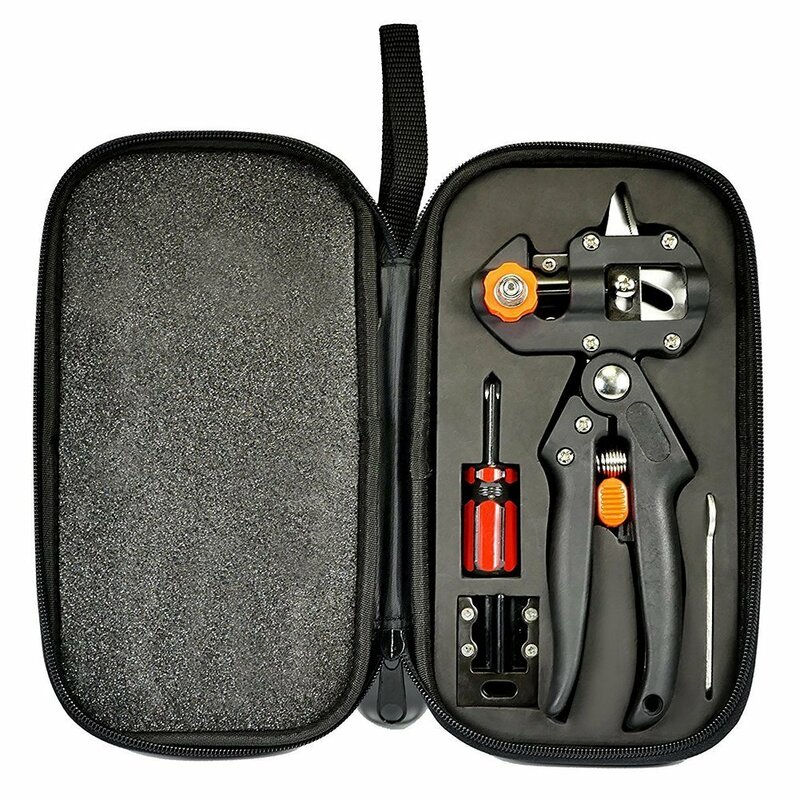 The first thing you notice on laying eyes on this grafting set is the attractive storage box it comes with – something that you will appreciate carrying around. It is both a pruning and grafting tool meaning that you will not need to find different tools for these functions. This is a grafting tool with the power to handle branches as thick as 14mm – quite something, don’t you think so? They are also made of high-quality materials for strength and durability. Successful grafting is sometimes considered an art in itself. This is because it involves the successful fusion of two living beings to get another with the qualities of both. But there are factors that more than often determine the success of this process. What are they? Compatibility: the compatibility of the stock and scion are critical. Ideally, you should graft plants that share genetic characteristics. Monocots and others lacking vascular cambium are not good grafting candidates. Intra-species and identical clones register a high success rate while those of the same genus are sometimes successful. Alignment and Pressure: to enhance the success rate of a grafting process, ensure to align and tightly press together the stock and scion. Pressure encourages the transfer of nutrients from the rootstock to the scion making the grafting successful, sooner. Choosing an Appropriate Stage: the ideal scion should be dormant so that budding does not occur too early when sufficient bonding has not yet happened. Another factor to look out for is temperature. When it is too warm, premature budding may occur, and this is not a good thing. High temperatures are also not ideal for callus growth. The Cutting Tools: before going ahead with the grafting process, you should make sure that your tools are adequately sharp to prevent tissue damage. Ensure they are also clean to avoid the spread of diseases and disinfect them to be on the safe side – treat the grafting process as a surgeon would his tools. Adequate Support: before the tissues can finally accept to join together, sufficient support for the stock and scion is always necessary. 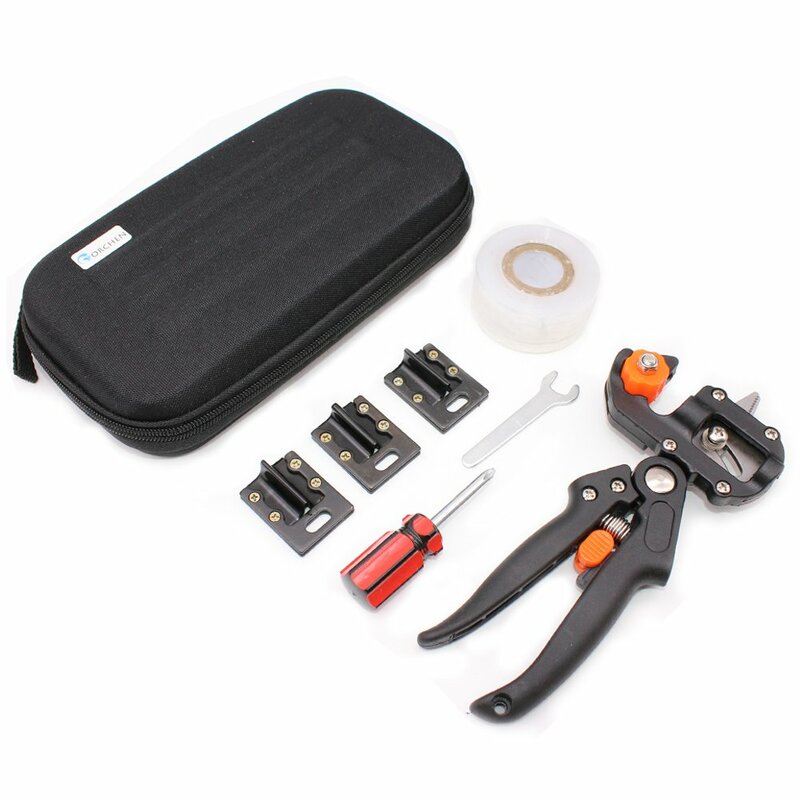 Some of the ideal support equipment includes the grafting tape, nails, twines, and splints. Proper Care: the grafting site needs sufficient nursing to ensure proper healing and the overall health of the plant. To ensure there isn’t excessive moisture loss through the grafting spot, use wax and grafting tape. You may also need to provide more structural support through such methods as string or twine. If necessary, you will need to prune any shoots coming from the stock as they may inhibit the grafting process. The grafting process is quite sensitive and making a small mistake can lead to an unsuccessful attempt. No one wants to destroy some of the best plants in their yard, and that is what happens when you use the wrong tool. The following are some of the factors to look out for to get the best tool for the job. You will often hear two kinds of metals mentioned when it comes to cutting tools: stainless steel and carbon steel. Stainless steel is non-corrosive and is pretty durable but doesn’t match the blade sturdiness of carbon steel. A sharp and sturdy blade is critical in the grafting process. Well, precision and clean cuts are the key words here, and it goes without saying that carbon steel is up to the task. But the choice between stainless steel and carbon steel is a matter of personal preference and needs. Astute gardeners more than often likely specialize in one particular plant. Depending on the variety, a plant may have thick branches, and another may have soft ones, and these are factors you should consider. But the hardness of the tool itself is also critical for safe and successful grafting cuts – don’t overlook this. In the majority of cases, the grafting tool is accompanied by a grafting tape. However, the quality of this tape is significant, and it is always a good idea to check it also – you want a quality tool accompanied by a quality tape. But what makes the grafting tape to be considered quality? Some of the qualities characterizing a quality tape include waterproofness and self-adhering. Of course, it needs to be waterproof as it is in direct contact with plant fluids and moisture. It should be self-adhering to ensure it sticks to where it should until the plant recovers and continues with the growing process. It also means that you will not need to use an additional clothe to tie around for adequate support. Grafting is among those gardening activities that demand a high level of precision to be successful. It is an art in itself. That means you need the best grafting tool, as listed above to have a high success rate. 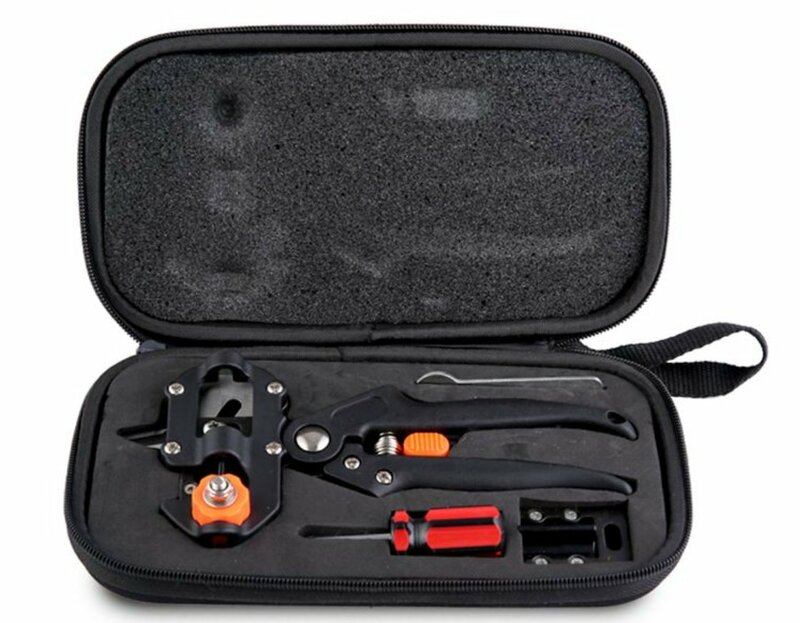 However, the best among the listed is none other than Zenport ZJ67 Omega-Cut Grafting Tool/Pruner for Fruit Trees and Grape Vines. It is made of premium quality materials, makes precise cuts and efficiently replicates them to enhance the grafting process success rate. It may require you to throw in a few more dollars, but it is every bit worth the investment.